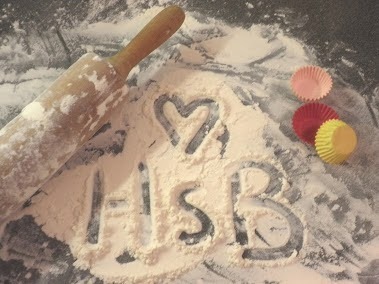 Home ♥ sweet ♥ Bakery: Who is Santa? Actually Santa is already at my house. 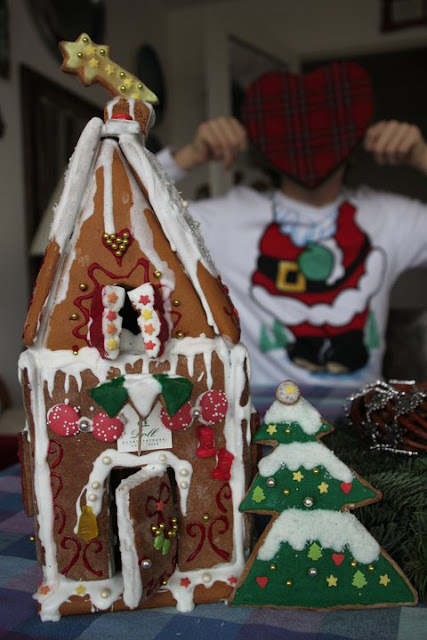 I guess he just wanted to peek over my shoulder as I was baking this gingerbread house and probably he also wanted a bite of it. a) the real Santa!!! The one and only! WOW! 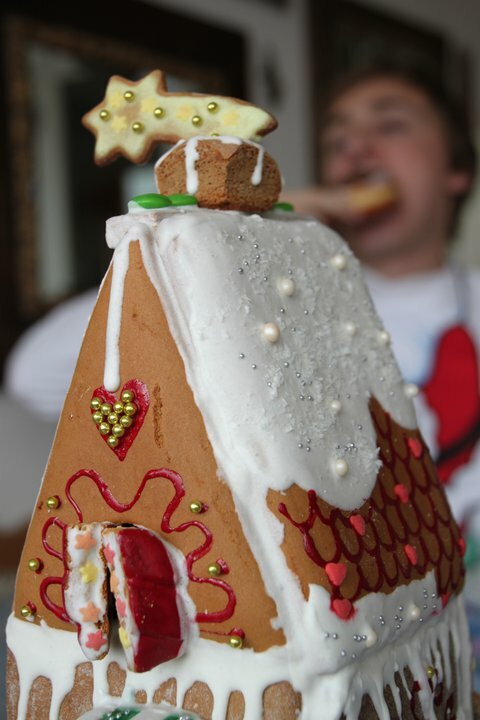 If you want to try and make a gingerbread house all on your own from scratch I can recommend two recipes. I usually follow this recipe from Taste.com because it´s very simple and there are fewer ingredients compared to other recipes, but I also like the one of the Hummingbird Bakery in London (by the way I have both their cook books and they are full of amazing recipes! I really recommend them). If you only feel like having fun decorating you can also buy prepared gingerbread dough; it´s easy to find around this time of the year. For the decorations I use royal icing and anything sweet and colourful I have in my kitchen, such as gumdrops, dragees, sprinkles, sugar pearls, jimmies, hearts, stars, and so on. 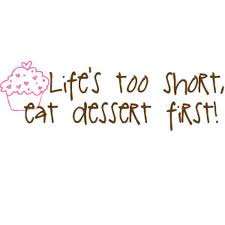 For the icing I don´t follow a particular recipe. I simply take a bowl, pour some icing sugar in it, a little little little bit of water and a couple of drops of lemon juice. Then I stir and according to the consistency of it I either add water or sugar. 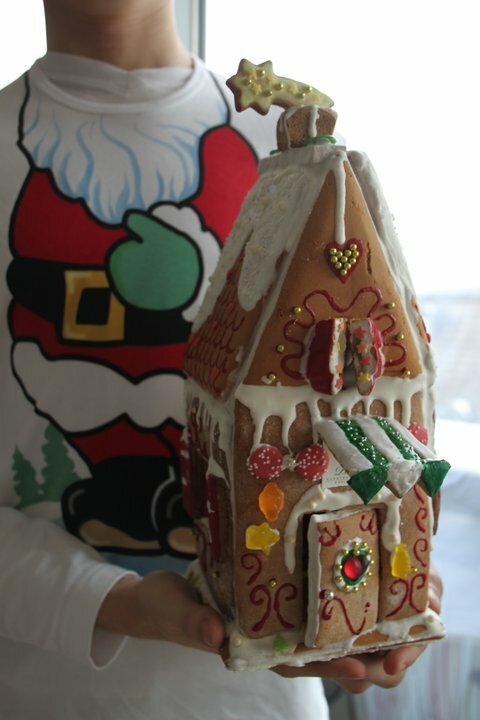 It doesn´t have too bee too thick nor too liquid otherwise the decorations won´t stick and your house will not glue together. If you do everything right you will have so much fun and the result will surely be cool! P.S. : dear Anja, Sandra, and Kristi (giveaway winners) your personalised canvases are finished! Your parcels are also ready for shipping; I am going to the post office tomorrow morning. Congratulations again, have fun! Wow - das Lebkuchenhaus ist wunderschön. Die Leinwand gefällt mir auch sehr sehr gut. Ich bin schon ganz gespannt, wann das Paket ankommen wird. Wird wohl etwas dauern aus Österreich vermute ich. Aber die anderen beiden Pakete haben ja auch eine ziemlich weite Reise vor sich! Ich melde mich sofort, wenn das Paket angekommen ist. Ansonsten wünsche ich Dir frohe Weihnachten! 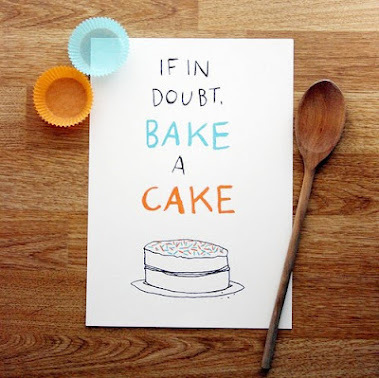 ♥ Keep on baking! wow love it! it is tasty and beautiful! love your blog! Hello Friend, I love love love your blog, it‘s very interesting!!! 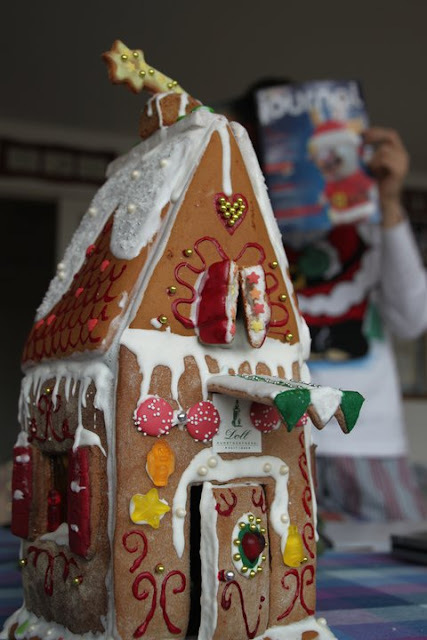 That is a gorgeous gingerbread house! I am a new follower. Merry Christmas. love this cake and also your blog! It's so nice!!! I follow you!